when i was a kid – each year the sky of my home city filled with hot air balloons. hundreds and hundreds of hot air balloons. all chasing the lead balloon in a “race”. it was a magical event. we chased the balloons, too, in our car. so did many others. when the lead balloon landed – we all converged into a single place and enjoyed the moment. 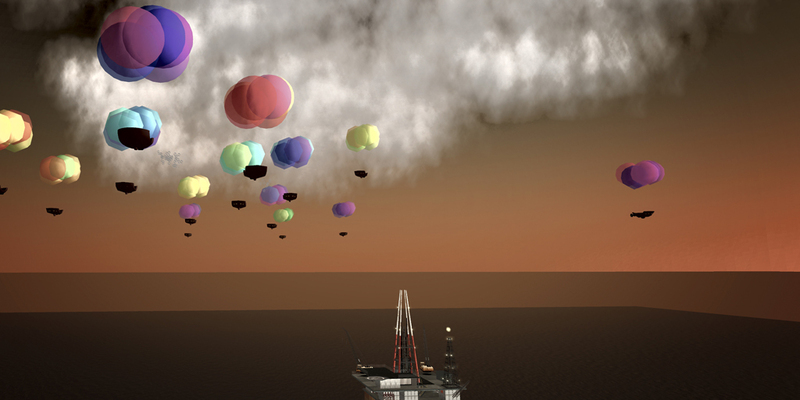 i’ve tried to recreate the experience in second life – and happily i’ve been somewhat successful. i didn’t expect the backlash. so for my first major project in second life, i’m both happy and sad. you can visit the balloons, while they last, here.